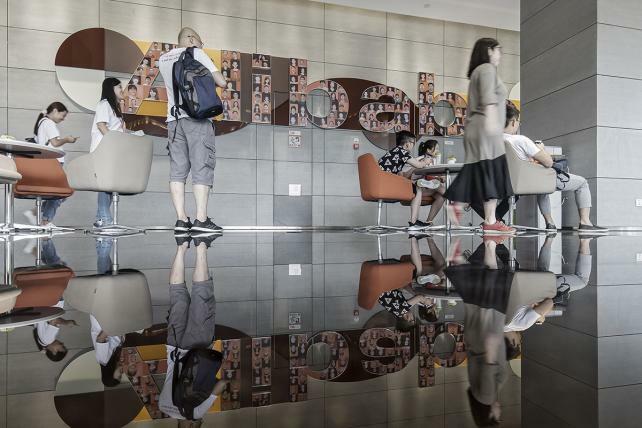 Amazon will host an event in the city of Hangzhou -- Alibaba's hometown -- to connect online merchants with 400 Chinese manufacturers keen to sell electronics, car parts, home goods and more directly to American and European consumers. Amazon experts will provide insights into buying trends so merchants can stock up for the 2018 holiday season. The gathering is part of Amazon's effort to evolve from an e-commerce platform into a global logistics operation. The idea is to help Amazon merchants connect directly with manufacturers in China. Amazon.com Inc. is bringing its competition with Alibaba right to the Chinese e-commerce giant's backyard. In the coming weeks, Amazon will host an event in the city of Hangzhou -- Alibaba's hometown -- to connect online merchants with 400 Chinese manufacturers keen to sell electronics, car parts, home goods and more directly to American and European consumers. Amazon experts will provide insights into buying trends so merchants can stock up for the 2018 holiday season, according to an invitation reviewed by Bloomberg. Sponsored by Amazon Global Selling, the event is called "Coming Together For U." The gathering is part of Amazon's effort to evolve from an e-commerce platform into a global logistics operation. The idea is to help Amazon merchants connect directly with manufacturers in China, a region largely out of the company's reach. Amazon would collect fees for helping merchants source goods directly from factories and ship them to other countries so they can be delivered quickly once orders roll in. Speedy delivery helped Amazon dominate e-commerce in the U.S., and the company wants to do the same globally to fend off Alibaba Group Holding Ltd., EBay Inc. and Wish Corp.
With 100 million Prime subscribers worldwide, Amazon has been putting in place the pieces to be the primary e-commerce platform connecting shoppers in one country with merchants in another. The company is making a big push in India and Latin America and last year launched operations in Australia. The purchase of Dubai's Souq.com gave Amazon a foothold in the Middle East. Whether they live in Paris, Beijing or Sydney, consumers seeking better prices and products they can't find at home are increasingly willing to buy from merchants abroad. Such cross-border transactions are growing faster than domestic e-commerce sales and by 2020 are expected to reach $900 billion, or 20 percent of the global market, according to a 2016 report from DHL Worldwide Express. Cross-border selling is a major focus of Amazon's logistics aspirations. Last year it hosted an event in New York to pitch 1,500 merchants on currency exchange services and language translation tools to help them sell to overseas customers. Amazon can use its size and reach to consolidate shipments with international freight companies to get volume discounts, using the savings to lure more merchants and goods to the platform. More than 2 million independent merchants hawk goods on Amazon, paying a commission on each sale. Competition among them helps keep prices low and inventory fresh, which has helped Amazon attract more than 300 million global customers. E-commerce remains a mostly domestic business. But with shoppers increasingly willing to look abroad for goods, Amazon sees an opportunity to sell more services to online merchants. Revenue from such services surged 39 percent in the first quarter to $9.3 billion.